(Above) When I saw Andy in person for the first time, at the Manatee Civic Center in Palmetto, FL back in February 2002, I snuck a disposable camera in with me. By the time Andy appeared at Coachman Park in Clearwater, FL that July (below), I had a better camera ... and a better seat! You make us laugh and you make us cry. You make us smile and you make us sigh. You bring emotions we never knew we had tumbling to the surface. Your artistry, your multicolored tapestries of words and music, touches us all in many different ways, some of which we can't define. Your songs have lifted us up, given us hope, and helped us fall in love; your music has also helped to heal those of us who have seen their love end, and given empathy to those of us who have not yet been blessed with the arrival of our soul mates. 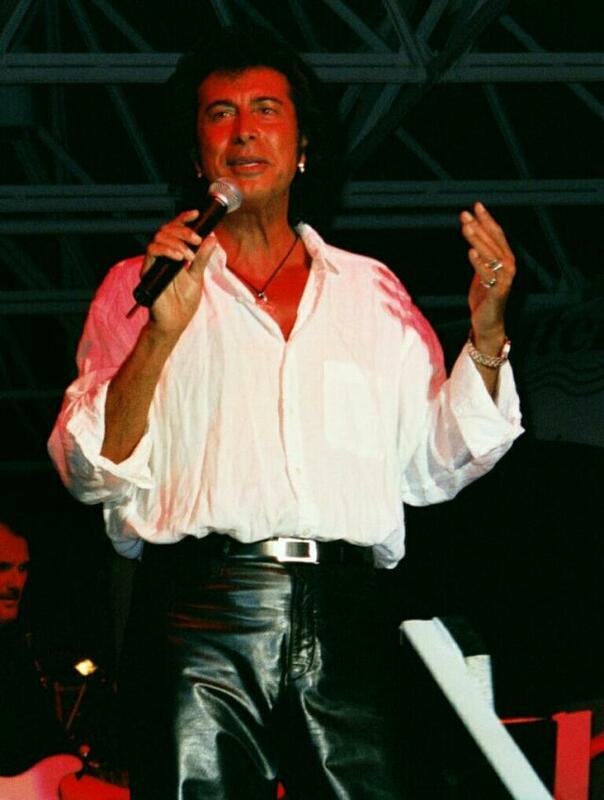 Just like your spirit, your music -- the music of Andy Kim -- will live on for eternity. HAPPY BIRTHDAY, dear Andy, and many, many more. To my favorite singer/songwriter and good friend Andy. Here's to the best of years still ahead. I want to wish you a wonderful Birthday. You are a very special person and you deserve the best. I am sure you have been told this a million times but I want to tell you again . You are the most handsome Man on this earth. Take care of yourself and thank you again for what you have become in my life. You give me a reason in this life. Happy Birthday Andy! We're almost birthday twins, I'm maybe just a few hours older is all. Best of everything to you in the coming year. I love you bro' - have the happiest of birthdays. Andy, wishing you a wonderful birthday and all that you wish for come true!!! Plus, wishing you a very Prosperous New Year!!!! Thank you for all the years of wonderful music. Thank you, also, for sharing your soul with us through your songwriting and your diary. May all your wishes and dreams come true. Be happy -- you deserve the best!